To obtain timely and accurate information that both satisfies the commanders information requirements and is provided quickly enough to be incorporated into the commanders operational planning process. The British Columbia Regiment (Duke of Connaught's Own) is a Primary Reserve armoured reconnaissance (recce) regiment of the Canadian Army; the regiment is subordinate to 39 Canadian Brigade Group of the 3rd Canadian Division. Established in 1883, it is the oldest military unit in Vancouver, British Columbia. It parades at the Beatty Street Drill Hall at the corner of Dunsmuir and Beatty in downtown Vancouver. The regiment has been variously designated as garrison artillery, rifles, infantry, and armoured, but has been reconnaissance since 1965. It has received 41 battle honours in its history, and has been a unit of the Royal Canadian Armoured Corps since 1942. The camp flag of The BCR. The British Columbia Regiment (Duke of Connaught's Own) originated in Victoria, British Columbia on 12 October 1883, when the British Columbia Provisional Regiment of Garrison Artillery was formed. It was redesignated as the British Columbia Brigade of Garrison Artillery on 7 May 1886, as the British Columbia Battalion of Garrison Artillery on 1 January 1893, as the 5th British Columbia Battalion of Garrison Artillery on 1 January 1895 and the 5th British Columbia Regiment, Canadian Artillery on 28 December 1895. 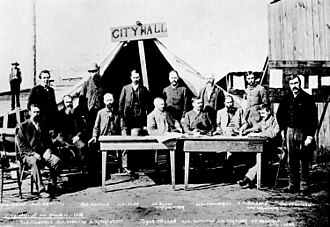 The regiment was reorganized and split into two battalions on 1 July 1896, designated the 1st Battalion (now the 5th (British Columbia) Field Artillery Regiment, RCA) and 2nd Battalion, which was detached and converted to infantry and redesignated the 6th Battalion Rifles on 1 August 1899, with headquarters in Vancouver. It was redesignated the 6th Regiment The Duke of Connaught's Own Rifles on 1 May 1900. Following the Great War on 12 March 1920, the 6th Regiment The Duke of Connaught's Own Rifles was amalgamated with the 104th Regiment (Westminster Fusiliers of Canada), now The Royal Westminster Regiment, and redesignated as the 1st British Columbia Regiment. It was redesignated the 1st British Columbia Regiment (Duke of Connaught's Own) on 1 November 1920. On 15 May 1924 it was reorganized into three separate regiments, designated The Vancouver Regiment, The Westminster Regiment and the 1st British Columbia Regiment (Duke of Connaught's Own). The 1st British Columbia Regiment (Duke of Connaught's Own) was redesignated The British Columbia Regiment (Duke of Connaught's Own Rifles) on 15 January 1930 and the 2nd (Reserve) Battalion, The British Columbia Regiment, (Duke of Connaught's Own Rifles) on 7 November 1940. 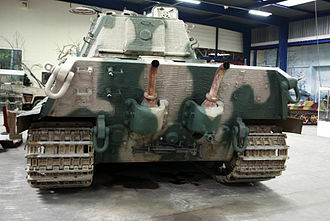 The regiment was converted to armour and redesignated the 13th Armoured Regiment (The British Columbia Regiment), RCAC, on 1 April 1946, The British Columbia Regiment (Duke of Connaught's Own) (13th Armoured Regiment) on 4 February 1949, The British Columbia Regiment (Duke of Connaught's Own) (RCAC), on 19 May 1958 and finally The British Columbia Regiment (Duke of Connaught's Own) on 7 October 1985. On 13 June 2002, it was amalgamated with The Irish Fusiliers of Canada (The Vancouver Regiment). 1900 6th Regt "The Duke of Connaught's Own Rifles"
The 6th Battalion Rifles contributed volunteers for the Canadian Contingents during the South African War. In 1914 the regiment was involved in the Komagata Maru incident. 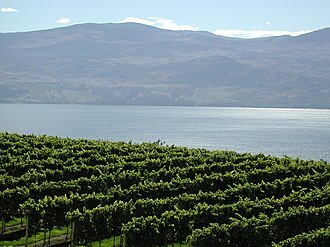 The distinguishing patch of the 7th Battalion (1st British Columbia), CEF. The 6th Regiment The Duke of Connaught's Own Rifles and the 11th Regiment Irish Fusiliers of Canada were placed on active service on 6 August 1914 for local protection duties. The 7th Battalion (1st British Columbia), CEF was authorized on 10 August 1914 and sailed for Britain on 28 September 1914. The 7th Battalion disembarked in France on 15 February 1915, where it fought as part of the 2nd Infantry Brigade, 1st Canadian Division in France and Flanders until the end of the war. The battalion was disbanded on 30 August 1920. The distinguishing patch of the 29th Battalion (Vancouver), CEF. The 29th Battalion (Vancouver), CEF, known as "Tobin's Tigers," was authorized on 7 November 1914 and embarked for Britain on 20 May 1915. It arrived in France on 17 September 1915, where it fought as part of the 6th Infantry Brigade, 2nd Canadian Division in France and Flanders until the end of the war. The battalion was disbanded on 30 August 1920. The 102nd Battalion, CEF, was authorized on 22 December 1915 and embarked for Britain on 18 June 1916, arriving in France on 12 August 1916, where it fought as part of the 11th Infantry Brigade, 4th Canadian Division in France and Flanders until the end of the war. The battalion was disbanded on 30 August 1920. The distinguishing patch of the 102nd Battalion, CEF. The 30th Battalion, CEF, was authorized on 27 October 1914 and embarked for Britain on 23 February 1915. It was redesignated the 30th Reserve Battalion, CEF, on 18 April 1915 to provide reinforcements for units in the field. On 4 January 1917 its personnel were absorbed by the 1st Reserve Battalion, CEF. The 62nd Battalion (British Columbia), CEF, was authorized on 20 April 1915 and embarked for Britain on 20 March 1916, where it provided reinforcements for the Canadian Corps in the field until 6 July 1916 when its personnel were absorbed by the 30th Reserve Battalion, CEF. The 121st Battalion (Western Irish), CEF, was authorized on 22 December 1915 and embarked for Britain on 14 November 1916, where it provided reinforcements for Canadian units in the field until 10 January 1917 when its personnel were absorbed by the 16th Reserve Battalion, CEF. The 158th Battalion (The Duke of Connaught's Own), CEF, was authorized on 22 December 1915 and embarked for Britain on 14 November 1916 where it provided reinforcements for the units in the field until 4 January 1917 when its personnel were absorbed by the 1st Reserve Battalion, CEF. 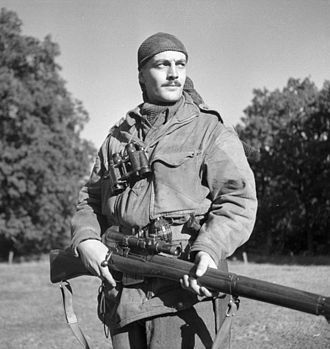 The British Columbia Regiment (Duke of Connaught's Own Rifles) was called out on service on 26 August 1939 and details of the regiment were placed on active service on 1 September 1939 for local protection duties under the designation The British Columbia Regiment (Duke of Connaught's Own Rifles), CASF (Details). Details from the Irish Fusiliers were called out on service on 26 August 1939 and then on active service on 1 September 1939, as the Irish Fusiliers (Vancouver Regiment), CASF (Details), for local protection duties. 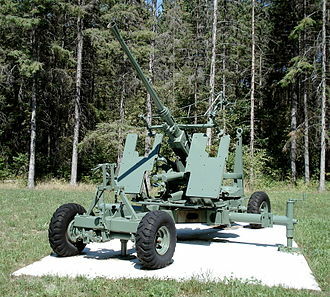 The 102nd Battery was called out on service on 26 August 1939 and details of the battery were placed on active service on 1 September 1939 as the 102nd (North British Columbia) Heavy Battery, RCA, CASF (Details), for local protection duties. The details of the three units called out on active service were disbanded on 31 December 1940. The British Columbia Regiment (Duke of Connaught's Own Rifles), CASF, mobilized for active service on 24 May 1940. It was redesignated as the 1st Battalion, The British Columbia Regiment (Duke of Connaught's Own Rifles), CASF, on 7 November 1940. 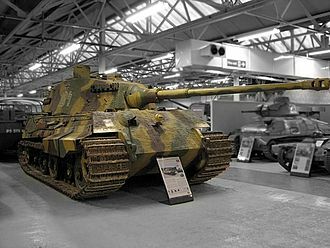 It was converted to armour and redesignated the 28th Armoured Regiment (The British Columbia Regiment), CAC, CASF, on 26 January 1942; and then the 28th Armoured Regiment (The British Columbia Regiment), RCAC, CASF, on 2 August 1945. On 21 August 1942 it embarked for Britain. The regiment landed in France on 28 July 1944 as part of the 4th Armoured Brigade, 4th Canadian Armoured Division and continued to serve in North West Europe until the end of the war. 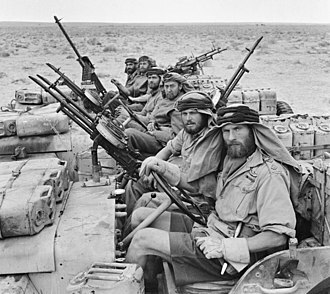 The overseas regiment was disbanded on 15 February 1946. The 1st Battalion, Irish Fusiliers (Vancouver Regiment), CASF, mobilized for active service on 1 January 1941. The battalion served in Canada in a home defence role as part of the 18th Infantry Brigade, 6th Canadian Division; and in Jamaica on garrison duty from 18 May 1943 to 6 August 1944. On 10 January 1945 it embarked for Britain, where it was disbanded on 19 January 1945 to provide reinforcements to the Canadian Army in the field. The 3rd Battalion, Irish Fusiliers (Vancouver Regiment), CASF, mobilized for active service on 12 May 1942. This unit served in Canada in a home defence role as part of the 19th Infantry Brigade of Pacific Command. The 3rd Battalion was disbanded on 15 August 1943. The 102nd (North British Columbia) Heavy Battery, RCA, CASF, mobilized for active service on 1 January 1941. It was redesignated as the 102nd Coast Battery, RCA, CASF, on 1 May 1942. 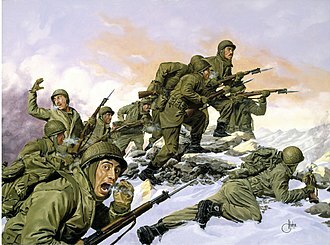 This unit served in Canada in a home defence role with the 17th (North British Columbia) Coast Regiment, RCA, CASF, as part of Pacific Command. The battery was disbanded on 31 October 1945. The British Columbia Regiment (Duke of Connaught's Own), marching in New Westminster, 1940. 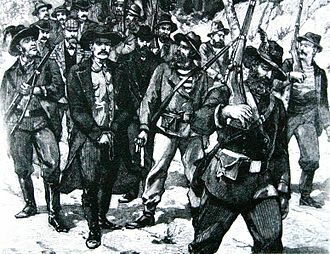 As a rifle regiment, weapons are carried "at the trail" rather than at the slope. 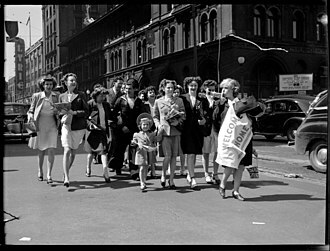 Wait for Me, Daddy is one of the most famous and reprinted Canadian WW2 Photos. The father survived the war. The British Columbia Regiment (Duke of Connaught's Own Rifles) was called out at 4:15 a.m. on August 26, 1939, two weeks prior to the official declaration of war by the Canadian governor general. Soldiers were dispatched to various vulnerable areas in the city, largely as a precautionary measure in response to Adolf Hitler's increasing aggression towards Poland. The British Columbia Regiment trained in Canada until January 1942, when it was announced that the 4th Division would become an armoured division. As a result, the unit was re-designated as the 28th Armoured Regiment (The British Columbia Regiment), and its officers and men were sent to England for training. In August 1943, Lieutenant-Colonel D.G. Worthington became the commanding officer of the regiment. In October, the regiment began to receive the M4 Sherman tanks, gradually replacing the Canadian-made Ram tanks, which had been in use for training. 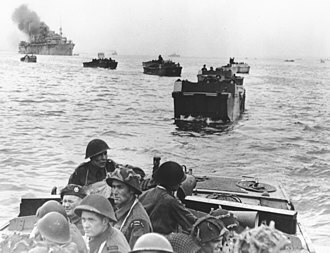 Following the Allied invasion of Europe on D-Day, the regiment landed in France on July 23. The regiment saw its first action in the Second World War during Operation Totalize, on August 8, 1944. The operation was launched under the cover of darkness. To aid in navigation at night, searchlights had been pointed at the cloud cover to provide some illumination. 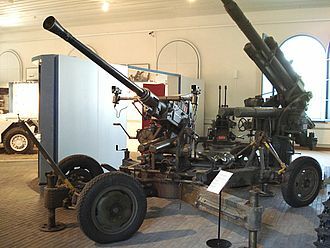 40 mm Bofors guns were also firing tracers along the line of advance to aid the attack. Despite these precations, the 28th, accompanied by The Algonquin Regiment, became disoriented and navigated away from Hill 195, which was its objective, and steered instead towards Hill 140, but did not reach the hill before daybreak. As a result, when daylight came, the unit was located in an exposed valley with units of the 12th SS Panzer Division concealed in the high ground. 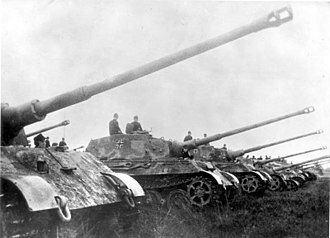 The two Canadian regiments were attacked by the 12th SS, who were equipped with 88 mm flak guns and Tiger tanks, among other heavy weapons. Lieutenant-Colonel Worthington was killed during the battle, and the survivors of the regiment managed to break contact with the 12th SS, after suffering 133 casualties and losing 48 out of 52 tanks. 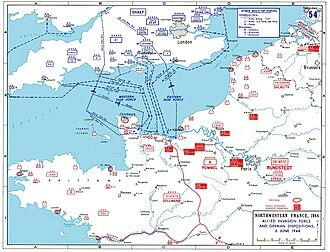 The 28th would return to action only a week later, contributing to the closing of the Falaise Pocket during Operation Tractable, which saw the destruction of the German Seventh Army and the capture of a great number of enemy soldiers and equipment. The regiment finished the war in Germany, after crossing the Rhine in April 1945. The regiment captured the town of Neuenhaus and administered it for a brief period. The final action of the war involved crossing the Kusten Canal on April 17, 1945. At the close of the war, the regiment had lost 108 officers and men killed, and 213 wounded. 105 Sherman tanks, 14 Stuart tanks, and one Crusader tank had been lost during the course of the war. These losses were the highest suffered by any regiment in the 4th or 5th Armoured Divisions. 14 new battle honours were added to the regiment's guidon as a result of its service during the Second World War. On February 1, 1946, the British Columbia Regiment returned to Vancouver, marching to the Beatty St. Armoury under the command of Lieutenant-Colonel J.W. Toogood. A soldier from the British Columbia Regiment (DCO) firing the C6 General Purpose Machine Gun mounted on a G-Wagon. In April 1946, Duke of Connaught's Own Rifles and the 28th Armoured amalgamated into the 13th Armoured Regiment (The British Columbia Regiment), RCAC. Later, in 1949 the name was again changed, to The British Columbia Regiment (Duke of Connaught's Own) (13th Armoured Regiment). The regiment continued to train on the M4A2E8 Sherman tank, winning the Wallace Trophy for most efficient Militia unit in 1954, 1955 and 1956. Although the unit did not deploy to Korea as part of the Korean War, it did contribute volunteers to augment Lord Strathcona's Horse (Royal Canadians) and the Royal Canadian Dragoons, whose regiments were sent. Soldiers of the regiment also served in deployments to Germany during the Cold War. On May 19, 1958, the regiment was redesignated again, becoming The British Columbia Regiment (Duke of Connaught's Own) (RCAC); the regiment's title dropped "(RCAC)" in 1985, but it remains part of the corps. 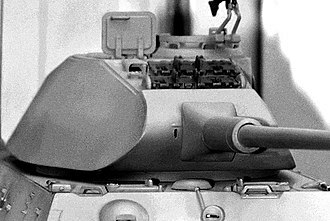 On February 28, 1965, the regiment's role changed, and it became an armoured reconnaissance unit. The long-serving Sherman tanks were retired, and the unit converted to the M38A1 CDN Jeep. 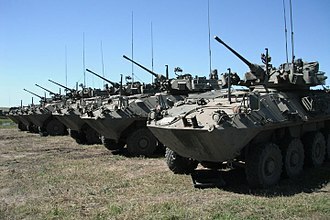 The Lynx reconnaissance vehicle entered service in the Canadian Army in 1968, to replace the Ferret armoured car currently serving in the reconnaissance role. The regiment cross-trained its soldiers to use the Lynx so that they could supplement regular army units overseas if necessary. In the 1987, the regiment received the Bombardier Iltis Jeep to replace the CJ7, itself a stopgap replacement for the aging M38A1, and the unit continued to train in the light reconnaissance role. The Canadian Army began to change the Reserve concept in the late 1990s, into the year 2000. Reservists would now be trained to the equivalent levels of their Regular force counterparts to ensure that a reserve augmentee could better serve in a given role. Under this concept, the regiment continues to train its soldiers to support and augment regular force units whenever required, in addition to being ready to serve locally whenever required. Soldiers of the regiment have served overseas in Canadian United Nations missions, especially the former Yugoslavia. The regiment continues to contribute soldiers to the NATO mission in Afghanistan, usually attached to Lord Strathcona's Horse or the Royal Canadian Dragoons, operating the Leopard C2, Leopard 2A6 or Coyote Reconnaissance Vehicle. In 2004, the regiment retired its Iltis Jeeps, receiving the Mercedes-Benz G-Wagon Light Utility Vehicle, Wheeled, in the C&R (command and reconnaissance) version. The G-Wagons are built to accept a lightweight applique armour kit, and are usually armed with either the C9A1 Light Machine Gun or C6 General Purpose Machine Gun in a manually operated turret. Sergeants of the British Columbia Regiment (Duke of Connaught's Own) carry in the unit's guidon during the unit's 125th anniversary parade and Freedom of the City reaffirmation at Vancouver City Hall, October 11, 2008. On 10 November 1983 Canada Post issued 'The Royal Canadian Regiment, The British Columbia Regiment' as part of the Canadian Forces, Regiments, 1883-1983 series. The stamps were designed by Ralph Tibbles, based on a painting by William Southern. The 32¢ stamps are perforated 13.5 x 13 and were printed by Canadian Bank Note Company, Limited. The Freedom of the City was exercised by the British Columbia Regiment in Vancouver, British Columbia on October 13, 2008. The British Columbia Regiment (Duke of Connaughts' Own) perpetuates the 7th Battalion (1st British Columbia), CEF, the 29th (Vancouver) Battalion, CEF, the 30th Battalion, CEF, the 62nd Battalion (British Columbia), CEF, the 102nd Battalion CEF, the 121st Battalion (Western Irish), CEF, and the 158th Battalion (The Duke of Connaught's Own), CEF. The guidon of The BCR. Battle honours in small capitals are for large operations and campaigns and those in lowercase are for more specific battles. Bold type indicates honours emblazoned on the regimental guidon. 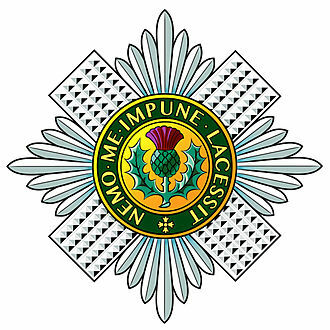 The regiment formerly held the battle honour Pursuit to Mons, but this honour cannot be perpetuated if a regiment is entitled to the honour Valenciennes, which was gained by the regiment upon amalgamation with the Irish Fusiliers of Canada (The Vancouver Regiment) in 2002. The regiment is also home to two volunteer bands. The British Columbia Regiment Band is a brass and reed band that performs at regimental mess dinners and events, as well as public performances at community events. The British Columbia Regiment Irish Pipes and Drums are a volunteer pipe and drum band representing the regiment. The band preserves the Irish heritage of the regiment, and the former Irish Fusiliers of Canada, which merged to become part of the British Columbia Regiment in 2002. There are several Royal Canadian Army Cadets corps spread across British Columbia that are affiliated to the British Columbia Regiment (DCO). Cadet units affiliated to the BCR (DCO) receive support and also are entitled to wear traditional regimental accoutrements on their uniforms. ^ a b c d e f g h i j k l m n o p q "The British Columbia Regiment (Duke of Connaught's Own)". Official Lineages Volume 3, Part 1: Armour, Artillery and Field Engineer Regiments – Armour Regiments. Directorate of History and Heritage. Retrieved 8 April 2017. ^ a b History of the BCRs in World War Two[dead link] The British Columbia Regiment (Duke of Connaught's Own) Official DND Website. ^ "The British Columbia Regiment (Duke of Connaught's Own)". Official Lineages: Armour, Artillery and Field Engineer Regiments – Armour Regiments. Department of History and Heritage. June 11, 2010. Retrieved December 2, 2011. 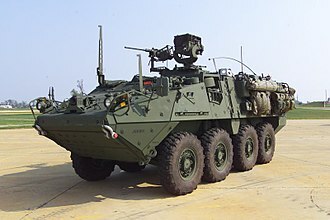 Armoured reconnaissance is the combination of terrestrial reconnaissance with armoured warfare by soldiers using tanks and wheeled or tracked armoured reconnaissance vehicles. In the Australian Army the main vehicle is the ASLAV armoured scout car. The Army Reserve regiments use the Light Cavalry Patrol Vehicle, aka the Regional Force Surveillance Vehicle, there has not been a formation armoured reconnaissance regiment in Canada since 1988. 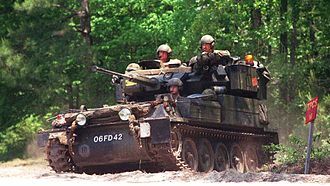 Armoured reconnaissance regiments in the Reserve Force, on the island of Bornholm In 2005 the reconnaissance units of the German Army were restructured. The former Panzeraufklärungstruppe, Fernspähtruppe, Feldnachrichtentruppe and UAV units of the Artillerietruppe haven been combined to the new Heeresaufklärungstruppe, HQ & Support Company The first company provides the battalion with communication and transport. Armoured Reconnaissance Company The armoured reconnaissance company operates all Fennek vehicle of the battalion and they are organized in six platoons of each four vehicle. Two Fennek form a scout squad, Light Reconnaissance Company The light reconnaissance company includes three HUMINT platoons and one scout platoon equipped with six Dingo. UAV Company The fourth company operates the two UAV platoons with LunaX and KZO, there is a radar platoon, equipped with eight Dingo and the new radar system BÜR. Ghanas Armoured Reconnaissance Regiment is the oldest armoured unit in the Ghanaian Army and it was formed at the countrys independence in 1957 and consists of two squadrons. The regiment has served with distinction in various African peacekeeping missions, 1st Ghanaian Armoured Reconnaissance Regiment The Kenyan Army has a single armoured reconnaissance battalion, equipped mainly with Panhard AML-90 armoured cars. 76 ARB The Dutch Army has one regiment, the Regiment Huzaren van Boreel which was named after Willem Francois Boreel, the Regiment consists of 4 squadrons,2 squadrons belong to the ISTAR battalion and the other 2 each belonging to 1 of the 2 Netherlands Mechanised Brigades. All squadrons are trained to operate completely independently and they have their own logistical support and all patrols have communication specialists and special forces medics for emergencies. The training and operation procedures of all squadrons are very similar although the ISTAR squadrons focus more on missions not from brigade, all squadrons have been on combat operations in the south of Afghanistan. The New Zealand Army only has one squadron that performs armoured reconnaissance and this is the only reserve armoured squadron. Queen Alexandras Mounted Rifles 4th Waikato Mounted Rifles part of 6th Hauraki Battalion Group The Norwegian Army has two armoured reconnaissance squadrons, the regiment, which has its roots in the British South African Light Horse, was initially equipped with Ferret scout cars. Light Horse Regiment In the British Army armoured reconnaissance units carry out formation reconnaissance for higher level formations, in the British Army these Formation reconnaissance regiments are usually providing reconnaissance for a division or a heavy brigade. 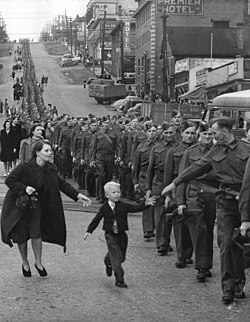 Wait for Me, Daddy is a photo taken by Claude P. Dettloff on October 1,1940, of The British Columbia Regiment marching down Eighth Street at the Columbia Street intersection, New Westminster, Canada. 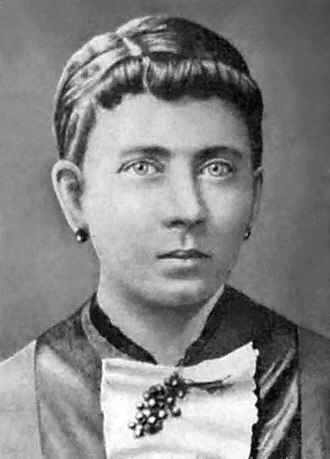 While Dettloff was taking the photo, Warren Whitey Bernard ran away from his mother to his father, the picture received extensive exposure and was used in war-bond drives. 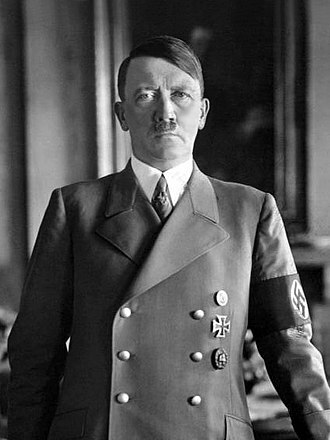 On Saturday August 26,1939, Hitler was threatening Poland, at 4,15 that morning the Regimental Adjutant in British Columbia, Canada received a call from the Canadian capital instructing him to call out the BC Regiment. 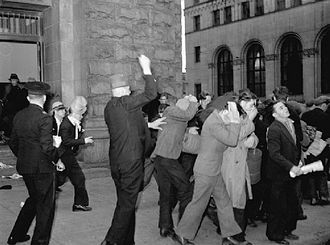 Soldiers fanned out in the city to guard vulnerable points, on September 10,1939, the Parliament of Canada declared war against the German Reich, which had invaded Poland on the first of the month. 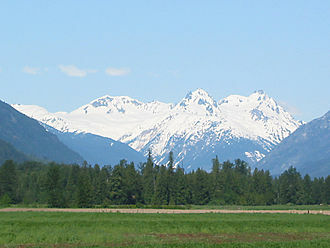 While other units were sent to the United Kingdom, the British Columbia Regiment was left behind on the west coast. After months of drills and guard duty the regiment was ordered out and on October 1,1940, marched to New Westminster to catch a waiting ship, the SS Princess Joan, to their secret destination. Coming down Eighth Street in New Westminster, Canadian photographer Claude P. Dettloff of The Province newspaper positioned himself to photograph the whole column marching down the hill. 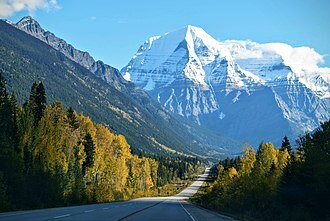 The picture Dettloff captured was picked up all over the world, getting exposure in Life, the secret destination turned out to be Nanaimo, only three hours away. 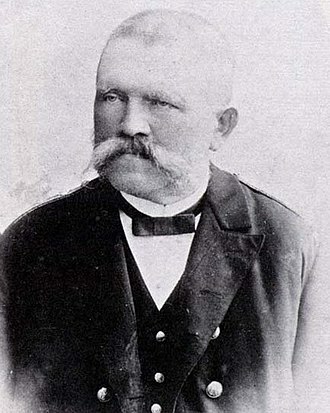 Later, after years of training, the regiment converted from infantry to armour and was sent to France, when Jack Bernard returned home Dettloff was on hand to photograph the familys reunion. Jack and Bernice Bernard eventually divorced, the City of New Westminster commissioned a bronze statue honouring the photo to be placed at the bottom of 8th Street, in Hyack Square. The city unveiled the statue on October 4,2014, at the same event, the Royal Canadian Mint announced the issue of a series of three coins featuring a scene adapted from the image, it was released in denominations of $2, $3 and $10. Canada Post issued a stamp featuring the iconic image, a re-enactment of the soldiers march was planned for March 2015, to mark the 70th anniversary of the end of the Second World War. The 1st Canadian Division is an operational command and control formation of the Canadian Joint Operations Command, based at CFB Kingston. Formed during the First World War in August 1914, the 1st Canadian Division was a formation of the Canadian Expeditionary Force. 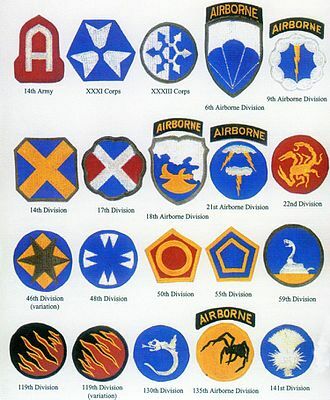 The division was made up from provisional battalions that were named after their province of origin. Following the war, the division was stood down only to be re mobilized as a formation on 1 September 1939 as the 1st Canadian Infantry Division for service in the Second World War, the division was reactivated twice during the Cold War. In 2010, the division was reactivated for a third time, several units under command of the First Contingent were excluded from the divisional organization, including the 17th Battalion, 18th Battalion, and several companies of Newfoundland soldiers. The strength of the division was placed at 17,873 all ranks, the 10th Battalion replaced the 6th Battalion, which left the 2nd Brigade to become a cavalry unit, serving in the Canadian Cavalry Brigade. Pioneer units were added in the war, including the 1st Canadian Pioneer Battalion from Mar 1916 to Feb 1917, the 107th Canadian Pioneer Battalion came under command between Mar 1917 and May 1918, before being absorbed by the 1st Canadian Engineer Brigade. He was selected — to the relief of many — in lieu of Sir Sam Hughes and it had been Hughess wish to command the Canadians in action. 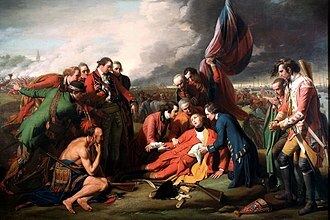 Alderson, who had commanded Canadian units before, won out over three prospective Canadian appointees, while serving with the British Army, were considered too inexperienced. Training in the winter of 1914 was rigorous, and conditions on Salisbury Plain were harsh due to cold, a royal inspection of the division early in 1915 foretold a move to France. After being stationed at Salisbury Plain in England, the 1st Canadian Division embarked for France during February 1915, the division moved to the Ypres Salient in April, and faced its first real test during the defence of St. Julien beginning on 22 April. The Canadians withstood German attack—aided, for the first time on the Western Front, by the use of poison gas—and finally retired to positions on 26 April. The Canadian Expeditionary Force was the designation of the field force created by Canada for service overseas in the First World War. The force fielded several combat formations on the Western Front in France and Belgium, the Canadian Cavalry Brigade and the Canadian Independent Force, which were independent of the Canadian Corps, fought on the Western Front. The CEF had a reserve and training organization in England. The Germans went so far as to call them storm troopers for their combat efficiency. In August 1918, the CEFs Canadian Siberian Expeditionary Force travelled to revolution-torn Russia and it reinforced an anti-Bolshevik garrison in Vladivostok during the winter of 1918–19. At this time, another force of Canadian soldiers were placed in Archangel, the Canadian Expeditionary Force was mostly volunteers, as conscription was not enforced until the end of the war when call-ups began in January 1918. Ultimately, only 24,132 conscripts arrived in France before the end of the war, Canada was the senior Dominion in the British Empire and automatically at war with Germany upon the British declaration. 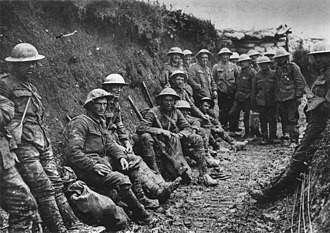 According to Canadian historian Dr. Serge Durflinger at the Canadian War Museum, of the first contingent formed at Valcartier, Quebec in 1914, fully two-thirds were men born in the United Kingdom. By the end of the war in 1918, at least fifty per cent of the CEF consisted of British-born men, many British nationals from the United Kingdom or other territories who were resident in Canada joined the CEF. As several CEF battalions were posted to the Bermuda Garrison before proceeding to France, although the Bermuda Militia Artillery and Bermuda Volunteer Rifle Corps both sent contingents to the Western Front, the first would not arrive there til June 1915. By then, many Bermudians had already been serving on the Western Front in the CEF for months, Bermudians in the CEF enlisted under the same terms as Canadians, and all male British Nationals resident in Canada became liable for conscription under the Military Service Act,1917. Two tank battalions were raised in 1918 but did not see service, most of the infantry battalions were broken up and used as reinforcements, with a total of fifty being used in the field, including the mounted rifle units, which were re-organized as infantry. The 4th Canadian Division is a formation of the Canadian Army. The division was first created as a formation of the Canadian Corps during the First World War, during the Second World War the division was reactivated as the 4th Canadian Infantry Division in 1941 and converted to armour and redesignated as the 4th Canadian Division. Beginning in 1916 the division adopted a distinctive green-coloured formation patch as its insignia, in 2013 it was announced that Land Force Central Area would be redesignated 4th Canadian Division. It is currently responsible for Canadian Army operations in the Canadian province of Ontario and is headquartered at Denison Armoury, the 4th Canadian Division was formed in the Britain in April 1916 from several existing units and others scheduled to arrive shortly thereafter. Under the command of Major-General David Watson, the Division embarked for France in August of that year where they served both in the Western Front in France and in Flanders until Armistice Day. The 4th Canadian Division was a part of the Canadian Corps in the Battle of Vimy Ridge, as a result, the Canadians became known as masters of offensive warfare and an elite fighting force. In the Battle of Vimy Ridge in April 1917, the 4th Canadian Division was given the job of capturing Hill 145, when they attempted to capture the hill, they were hampered by fire from the Pimple, which was the other prominent height at Vimy Ridge. To capture Hill 145, forces which were supposed to attack the Pimple were redeployed and captured Hill 145, 10th Canadian Brigade, 44th Battalion Canadian Infantry. April 1916 –11 November 1918, April 1916 –11 November 1918, 47th Battalion Canadian Infantry. 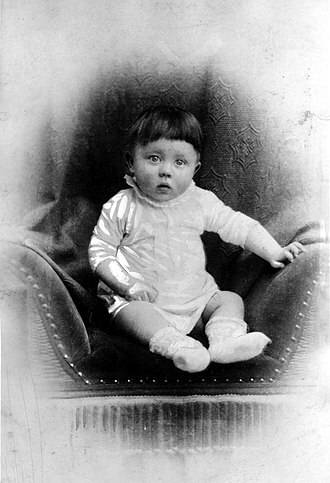 April 1916 –11 November 1918, April 1916 –11 November 1918. 11th Canadian Brigade, 54th Battalion Canadian Infantry, April 1916 –11 November 1918, 75th Battalion Canadian Infantry. April 1916 –11 November 1918, 87th Battalion Canadian Infantry, june 1916 –11 November 1918, 102nd Battalion Canadian Infantry. April 1916 –11 November 1918, 12th Canadian Brigade, 38th Battalion Canadian Infantry. A LAV III during Operation Lotus. Skyscrapers of Vancouver's Financial District, taken from Harbour Centre tower. Downtown Vancouver is bounded by Burrard Inlet to the north. Burrard Street Bridge is a major bridge and access point to Downtown. Waterfront station is a major intermodal public transportation hub in Downtown Vancouver. Inspector Reid, H. H. Stevens and Walter Hose on board Komagata Maru. 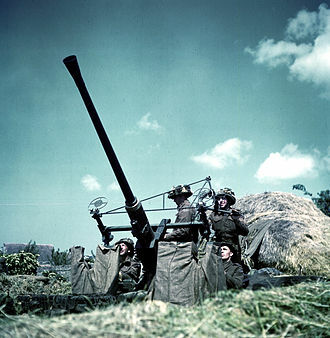 Canadian artillery during the Korean War. A CV90 armoured reconnaissance vehicle of the Norwegian Army on patrol in Afghanistan. The camp flag of the Algonquin Regiment. The regimental colour of The Algonquin Regiment. Lt. Graham Thomson Lyall, VC. Wait for Me, Daddy Statue in New Westminster, B.C. 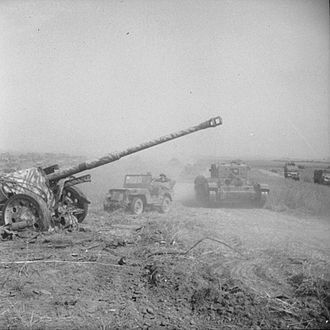 A Cromwell tank and jeep pass an abandoned German 88 mm anti-tank gun during Operation Totalize, 8 August 1944.